The company said that resource expansion and infill drilling targeted areas of inferred resources at the main deposit with the goal of converting them to the indicated category as well as expanding resources beyond the existing block model. Kutcho Copper (TSXV:KC) has announced initial resource expansion drill results from the Main deposit at its 100-percent owned Kutcho high grade copper-zinc project located in British Columbia. KC18-280 with 5.5m of 1.91 percent copper, 7.8 percent zinc, 33.2 grams per tonne (g/t) silver, 0.60 g/t gold or 5.7 percent copper equivalent. KC18-282 with 5.4m of 2.48 percent copper, 1.0 percent zinc, 114.0 g/t silver, 0.24g/t gold or 4.0 percent copper equivalent (including 0.50m of 16.7 percent copper equivalent). KC18-287 with 10.5m of 1.89 percent copper, 0.6 percent zinc, 33.4g/t silver, 0.69g/t gold or 2.9 percent copper equivalent (including 5.4m of 4.6 percent copper equivalent). 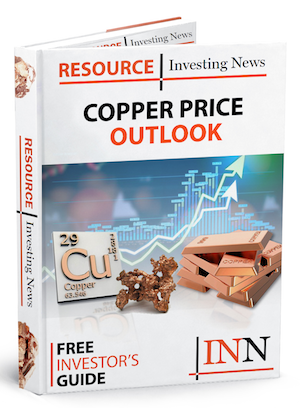 Click here to read the full Kutcho Copper (TSXV:KC) press release.